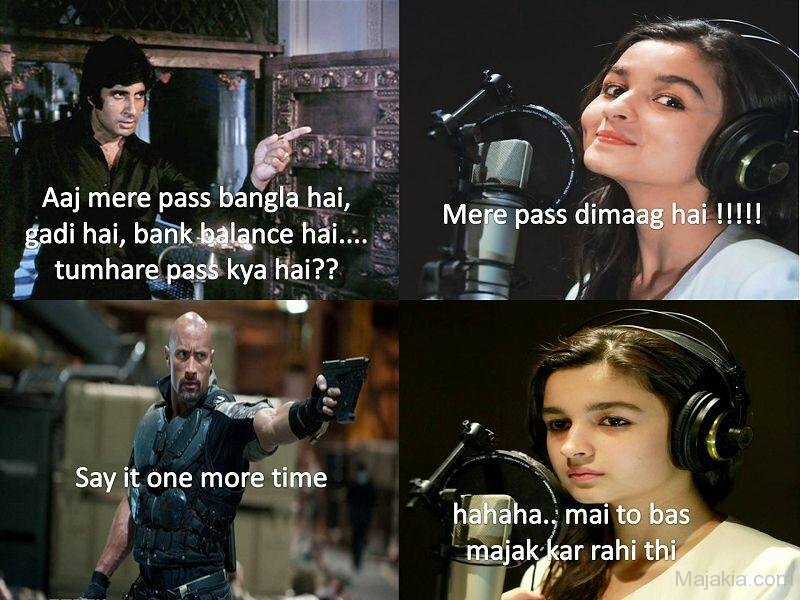 Check out the below craziest trending Alia Bhatt Meme, troll, funny pictures, jokes, humorous collection which will surely make your day instantly better. 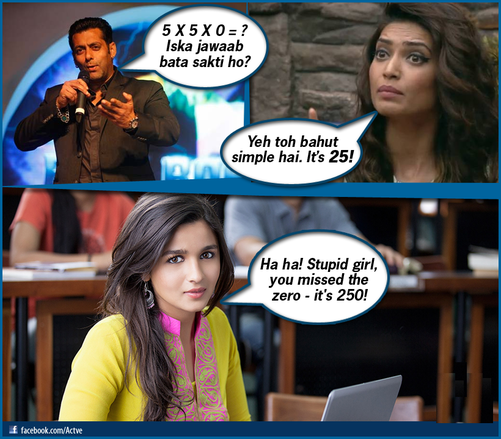 #1 Alia Bhatt who you thank for in your life? 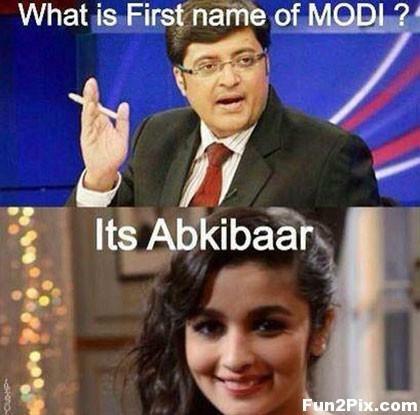 #2 Alia, What is the first name of Modi? 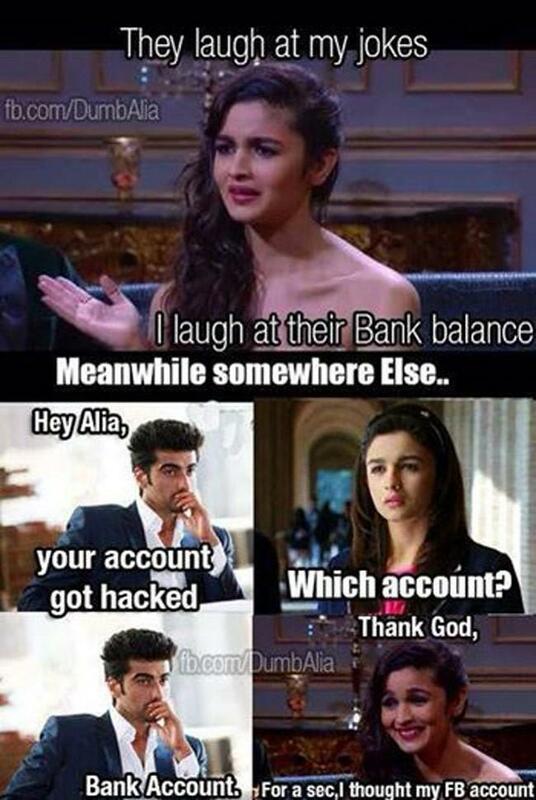 #3 Alia Laugh at your bank balance! 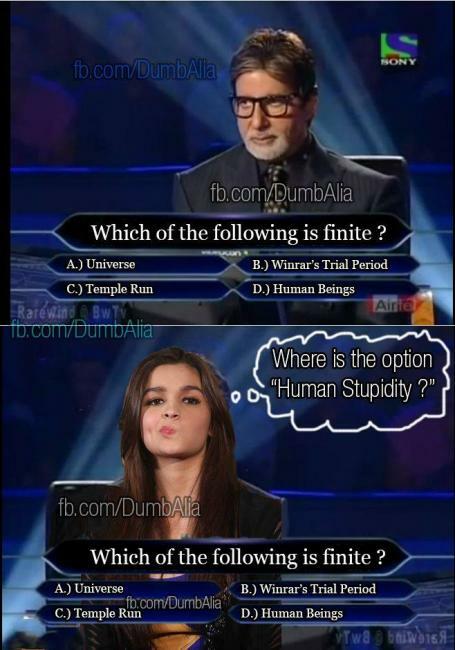 #4 Alia, Let’s play KBC and your first questions is..
#6 What do you have Alia? 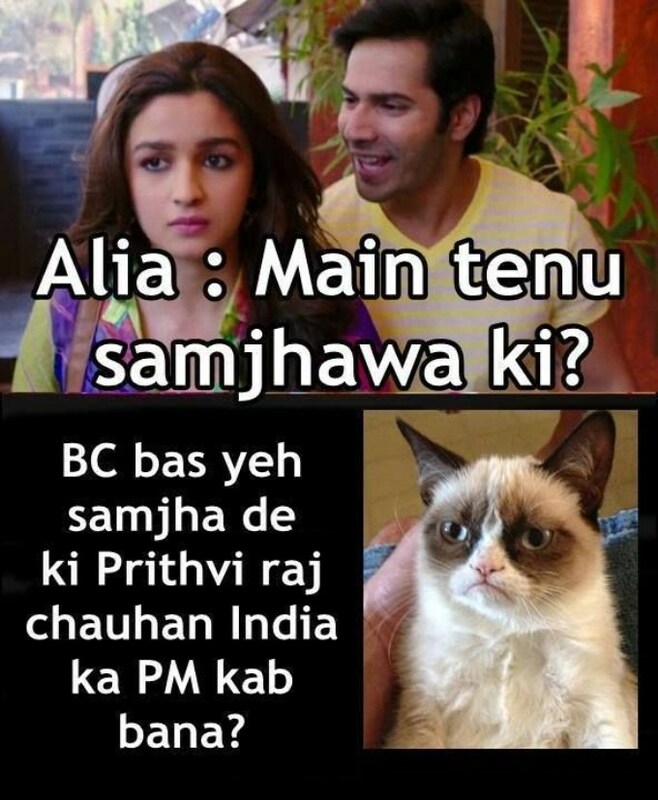 #8 Alia, Who is the President of India? 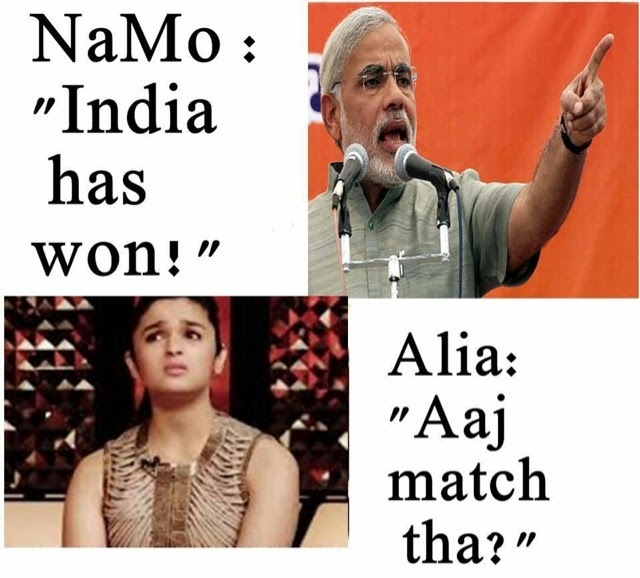 #9 Namo, India has won! 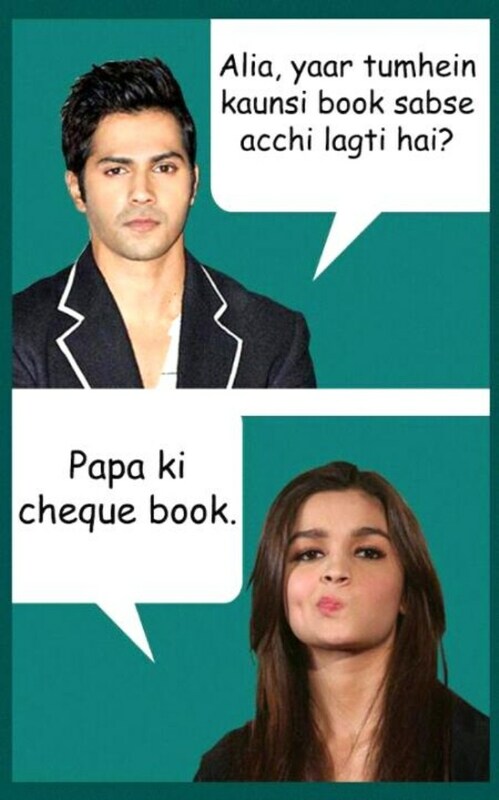 #10 Alia, Which book do you like the most? #11 When will Prithviraj become PM of India? 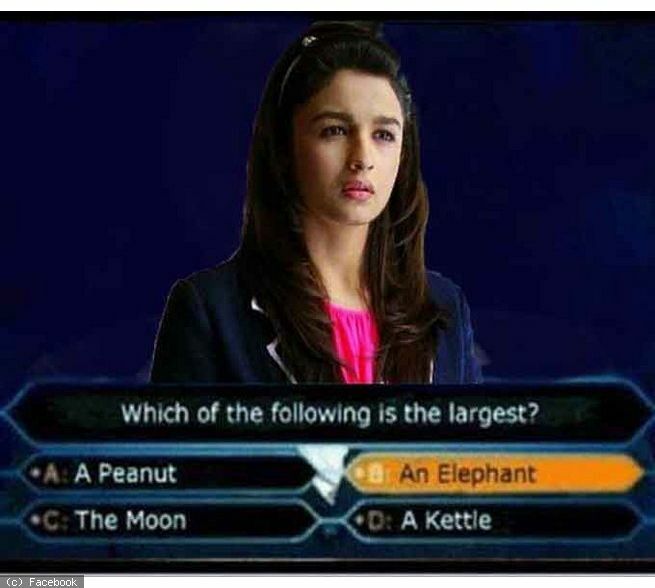 #13 Alia, can you answer this question? 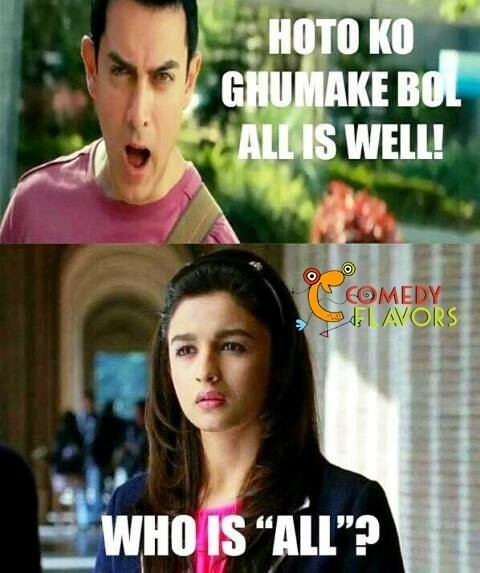 #14 Alia, say All is Well! #17 Alia, Which is you favorite MS product? 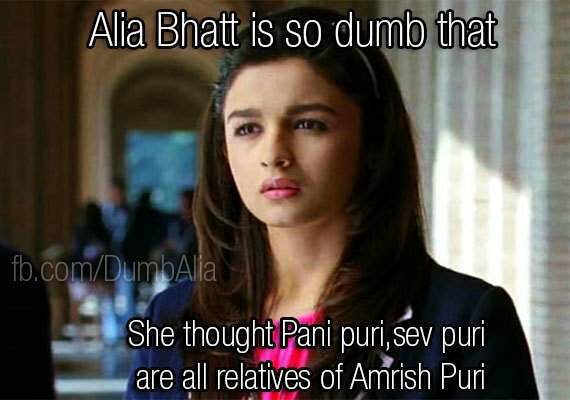 #18 Arjun Kapoor just changed his mind!